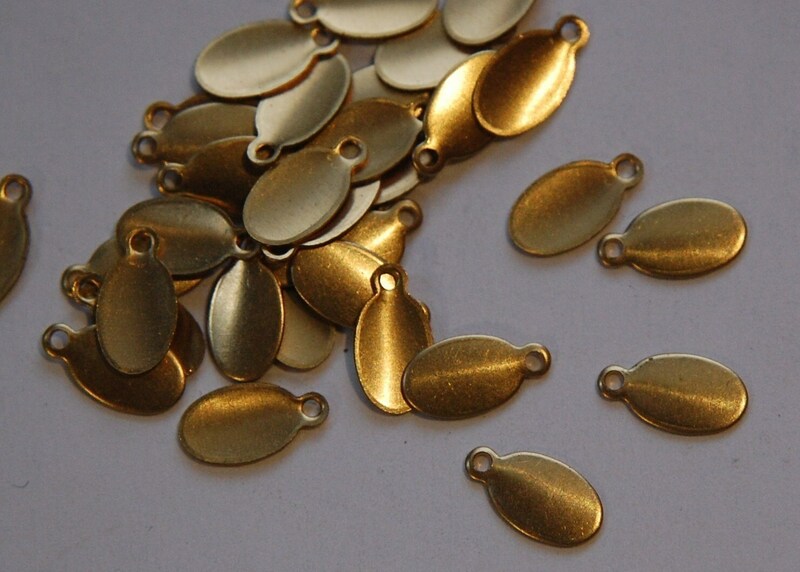 These are raw brass oval tags. They are not completely flat, they have a very slight bow. These measure 11mm long with the loop X 6mm wide. You will receive 16 pieces. Thank you for honouring the extra tag Beth. Speedy delivery! Finally, I received my package. Beautiful cases with good warp.